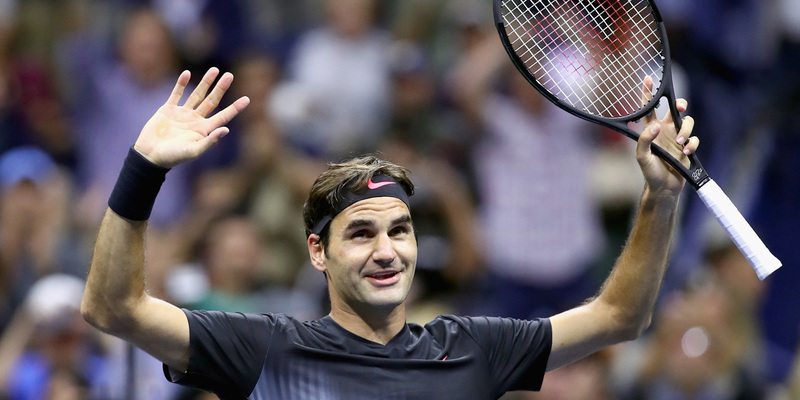 Lately I haven't been writing many blog posts in the middle of tournaments, but I'm feeling so many emotions after Federer's third round win that I just have to get them out. Roger's US Open started rather unexpectedly. After a back injury in the final in Montreal and then pulling out of one of his most successful tournaments in Cincinnati, his first couple rounds in New York were less than stellar, both going to a very surprising five sets. It was easy to be concerned about the back, which he said he was nervous about in his first round. After his very up and down second round, though, even though it went five sets, I was relieved to hear him say afterwards that he never thought about his back. His explanation was that since he had been rehabbing his back right up to the start of the tournament, he didn't have time to do the intense preparation he would have normally done before a major and that he would play better after playing 10 sets to start. I chose to believe him, though I know some were still doubting, but the big test would be his third round match against veteran Feliciano Lopez. 12-0 head to head record or not, nothing could be taken for granted. However, Roger came out very focused, looking very intent on making this an easy win. Sure, it would have been better if he hadn't been broken back in the third set, but overall he proved once again that he indeed knows what he's talking about! He looked much more free in his service games, fluid overall and like he had found his rhythm. 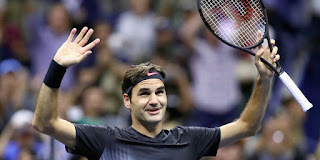 In his first two matches he made so many uncharacteristic errors, but he seems to have righted himself and to be back to the real Roger once again. All that I've written may seem very obvious, and if so I'm sorry but I simply had to share it. Not sure what the rest of this crazy tournament will hold, but Roger is once again in the second week of a major, and who knows what can happen from here? Fingers crossed for a great final week. Still believing for #20.